Run For The Hills’ co-founder and Creative Director, Dex, is set to unveil a future classic Music Map of London at The Other Art Fair, 4-7th October, at Bloomsbury’s Victoria House. 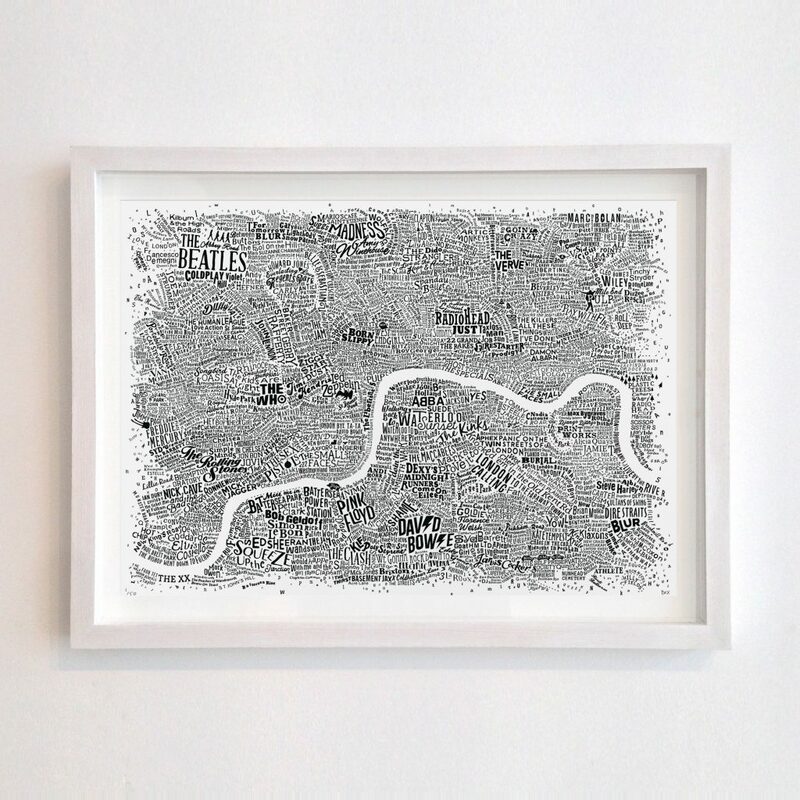 The new piece has been a year-long odyssey in the making and joins the artists’ hugely successful and critically acclaimed previous two Limited Edition maps: the Literary London Map and the London Film Map. For complimentary tickets please go here and use promo code DEXCOMP. Find him on stand 88 (which conveniently happens to be by the bar). This year’s The Other Art Fair Dex will be presenting the London Map trilogy, in full, for the first time. Celebrating the capital’s credentials as one of the world’s most iconic, cinematic and creative cities. With maps themed around London’s legendary literary heritage and deep down music cool, this trio of maps features novels, films and some of the best musicians in history, all plotted in the locations they are most famously associated.